!! 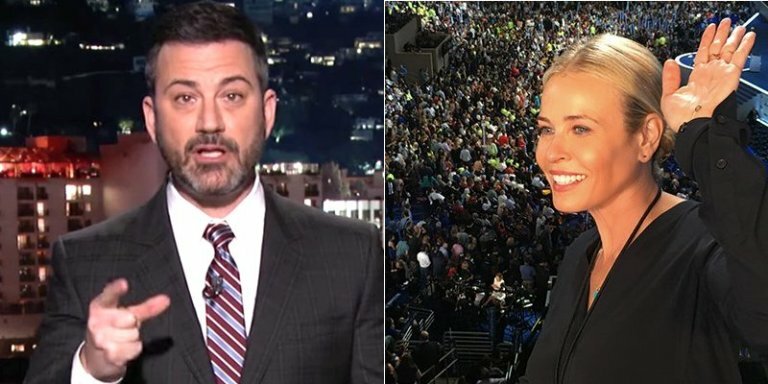 OMG, gossip: Chelsea Handler and Jimmy Kimmel under fire for ‘BOTTOM SHAMING’ !! 2 Comments on "OMG, gossip: Chelsea Handler and Jimmy Kimmel under fire for ‘BOTTOM SHAMING’"
Are we all just a bunch of bitter old queens that can make mean remarks about the ‘breeders’ but the minute someone lampoons homophobic politicians by saying the homophobe is possibly gay by making a joke about them liking to take it, might I also that we have chauvinistic gay tops that see being a bottom as demeaning, is an insult? If we can’t take it than we need not dish it. they didnt bottom shame. nothing here.